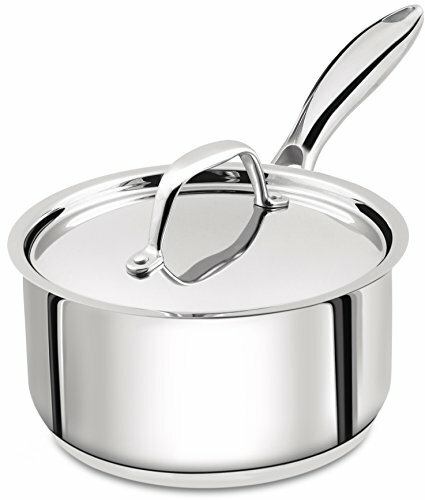 This 100% Stainless Steel Saucepan is the cornerstone of every kitchen. This premium cookware is built with high-quality stainless steel with an aluminum core that enables even and efficient heat distribution. This heavy and durable saucepan is non-reactive, keeping the flavors natural and tasty. It is perfect for making soups or sauces, boiling pasta or potatoes, or simply reheating leftovers.